No deals found for this business. Torque56 is a premium E-liquid with unfiltered tobacco flavor and serious throat hit. It is for those that want real tobacco flavor without a lot of complex nuances to cloud the taste. Knock your socks off with Torque56. Voodoo is the perfect balance of tobacco notes and gourmet flavors. We start with a base of mild tobacco and layer in complex flavor profiles like fiery cinnamon and smooth vanilla, then add fruity notes likes black currant, grape and plum to create a wonderfully distinctive flavor. We remastered a classic. In much the same way you take music from vinyl to digital—improving the sound—we’ve gotten Shamrock ready for the next generation. We started with a more well-defined mint base, then drizzled in semisweet chocolate notes to create a next-level vape. Rock your sweet tooth with Shamrock, a perfect dessert vape—or for any other time a day. Café Mocha E-liquid offers a full-flavored blend, perfect for those seeking a gourmet coffee flavored E-liquid. Built on a robust Cappuccino base, our unique Café Mocha E-liquid blend is layered with very subtle hints of mocha and hazelnut, and rounded out with a gentle sweetness. With a rich burst of peppermint in every delicious puff, this E-liquid is a gift you’ll want to keep giving yourself the whole year ’round. Winner of a Spinfuel Choice award, Kringle’s Curse is a gourmet flavor unlike anything you’ve tasted before. 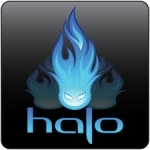 170 reviews for Halo Cigs's 27 different products. A delicious take on a tobacco flavor. The smooth caramel and vanilla notes really come through to make a satisfying vape. I would definitely recommend trying the tobacco or menthol sampler. I was feeling quite a bit of congestion earlier on during the week. I decided to grab a bottle of this stuff instead of sucking on cough drops all day. It's incredibly effective, especially in a single coil dripper. I couldn't imagine vaping this on a build that's any stronger. On the inhale, I get the coldest menthol I've ever felt. My lungs immediately freeze. It's a little discomforting at first, but if you're sick, there's nothing better. On the exhale, I get spearmint, peppermint, eucalyptus, and a slightly medicinal aftertaste. For a few seconds afterward, my breaths are icy cold, and I feel like I could breathe all the air on the planet. It mixes well with other juices, luckily. I couldn't straight up vape a 30 mL bottle of this. It's obvious Halo's recipes are old school; more suited to the iclear16, kanger sub/pro tanks, and Nautilus everyone used a few years ago. They'll likely see a boost in sales with all of the pod devices coming out these days. Overall, it's a decent liquid for hyper-strong menthol. I'd highly recommend this to anyone who's sick, looking for a flavor-neutral menthol to mix with other juices, or someone who's truly a menthol fiend, and hasn't been satisfied by anything else on the market. There are more flavorful mint-y menthols out there, but SubZero is still around for a reason. Not sure how I ended up getting a hold of some Tribeca, but it was in 6 MG and in their 50/50 vg/pg blend. So, I decided to break out an old school setup to review this just for fun. There's definitely a reason why this is probably the best selling tobacco eliquid in the history of tobacco eliquids. I think it's perfect for people trying to get off cigarettes. It has that slightly salty and nutty tobacco flavor, with a pretty thumping throat hit. It was a quite satisfying vape, and pairs very well with coffee. I'd only assume the caramel and vanilla is masterfully blended and balanced in this, because I don't get much of those flavors. Then again, it could be my setup. I feel like if I had dripped this, my head would be spinning and my throat would be pretty irritated. I'm not used to high PG and higher nic eliquids, anymore. It's also pretty expensive for a liquid that has been in production for nearly a decade, but nobody even comes close to Tribeca. People keep buying it for the price they're selling it at, I can't be too mad at that. They make a nic salt version of this which is pretty smooth. I'd probably pick that up with an AIO device for someone trying to quit smoking. Actually, I feel this is a pretty authentic tobacco flavour from Halo Cigs, far more like smoking an analog cigarette than any other juice I've tried so far. I can't describe much more except to say that this is quite a strong tobacco flavour, almost cigar-like in its intensity, so if that is your thing, then Prime15 might be worth a try. For me, I found this e-juice quite harsh and hot, maybe that helps to make it more like a real cigarette, but to be honest, the taste of real cigarettes were never why I smoked; I smoked for the hit and the effect, not the taste. I find that while Prime15 is a very authentic tobacco flavour, it is just too harsh on my mouth and throat, so I cut it with a menthol / mint to make it vape-able. Reviewed using: Innokin Kroma A with Zenith Tank, 1.6 Ohm Coil running at 14 watts. Ok, Halo Cigs nailed this one. It tastes just like dark chocolate, like they ground up a bar of Belgian chocolate and liquified it, although it could be Himalayan Yaks cocoa - to tell you the truth, I wouldn't know the difference. But, like others have said, I can't vape this for long at all (think 5 puffs) before I am feeling sick. I guess it is just too rich, but I can't vape it for long at all. What I did do is mix this 50/50 with a mint e-juice, and it is much more vape-able. The Belgian cocoa is still dominant, even with a mint mixed in, but if you get this, you might want to get another suitable juice to mix it with. To be fair, it does taste spot on as a dark chocolate, but just far, far too rich to vape on its own for more than a few puffs. 13 reviews for Halo Cigs. They have good products and prices are ok. The shipment of orders is not consistent and some times takes longer than anticipated to arrive. Their batteries and tanks are well made but not compatible with 510 threads. Halo produces some fantastic juice, mostly tobacco flavors and the price is a little high. But for what you pay you do get in quality. Each bottle comes in a cobalt glass dripper bottle, which I'm purchasing for use of the bottle as well! It's a win win situation, I get to vape tasty juice and then use the bottle for other tasty juices I want to keep fresher longer! I've yet to hit a Halo juice I wouldn't keep as All Day Vapes. The best part about Halo is mass produced quality juice that you can find in most any Vape store. 2 out of the 3 shops in San Antonio I am aware of sell Halo juice. I would give Halo a 10 if not for their high prices when compared to other Premium Juice vendors. All of Halo's top notch gourmet juices are just that...top notch. You call tell in the presentation and the quality in the juice that each one goes through rigorous testing and evaluation before released. Most of their juice is tobacco blends but they offer several other gourmet flavors for those who don't like tobacco. I would recommend Halo to anyone and everyone who vapes. Halo has top juices, every single one of them. They could disclosure more information regarding the ingredients, like PG/VG ratio, and provide acess to test documents/reports confirming the non presence of Diacetyl, AP or other diketones. I have personally never dealt with Halo first hand, I have only bought through my local B&M and i have nothing but positive feedback. So this is more of a review purely based on the juice rather then the company's customer service, which i have not experienced. The juice is extremely high quality with some of the best flavor of any vendor, which would make sense Halo has been there almost from the beginning of the vape scene. The flavors really catch my eye, whether it's Menthol, or Tobacco flavored, or any of the other blends, the flavors are so perfect. I am not at all a menthol fan but I can vape ANY of Halo's flavors, that's about the only reason why i am willing to pay the outrageous prices. It's worth every penny to me knowing i will love anything I get.